Transform a simple sheet of paper into a delicate snowflake, a sweet flower, or a dainty doily--or create an enchanted forest using a modern twist on the traditional technique for making paper dolls. Paper cutouts get a fresh look in this contemporary approach to the practice of transforming paper into art. It's full of clever and cute designs and a range of different cutting techniques that you can use to make your own cutouts for display, decoration, or embellishment. Offering a range of styles, this book presents paper cutting techniques through clear step-by-step instruction, detailed diagrams, and templates. Once you've mastered the basics, creative uses for paper cutouts are offered, including as cards, gift wrap, mobiles, collages, stencils, garlands, and more. 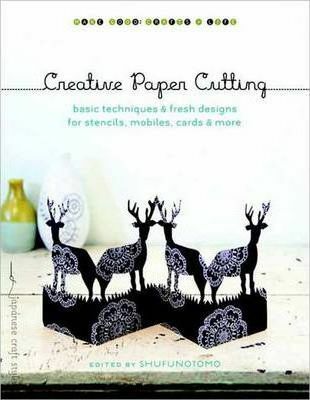 Make the paper cuts in this book and add a creative touch to your home, gifts, or projects. Shufunotomo is a distinguished Japanese publisher of books on crafts, health, self-help, and more.